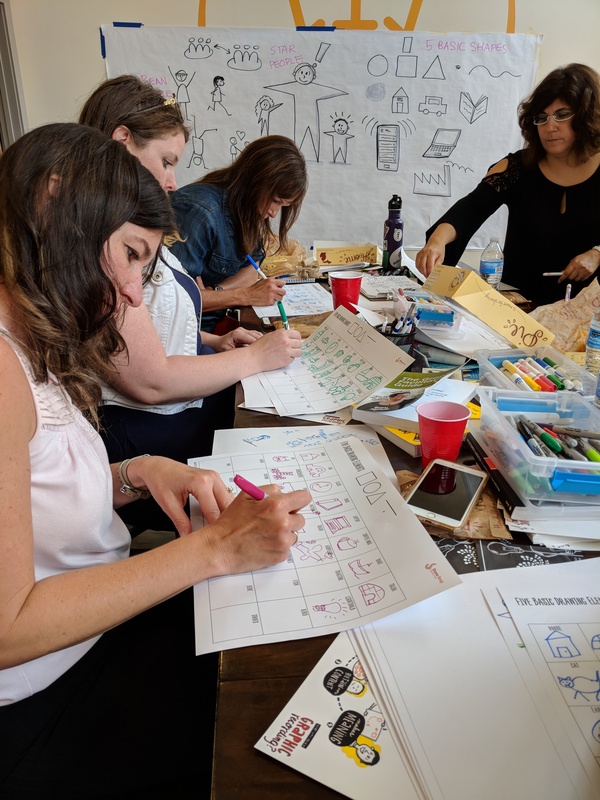 Have you ever been in a meeting or conference, lecture, class or panel – and thought, I really love this content and want to remember it, to make sense of this information in a way that is meaningful – to capture the themes and big ideas you’re hearing, in real time? 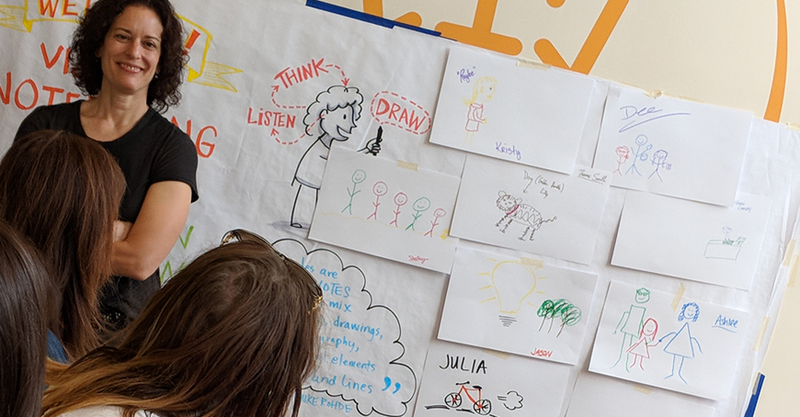 Using hands-on sketchnoting techniques, Julia will show you how to activate your brain by using your listening, thinking and drawing skills to make meaning. No prior drawing skill necessary! Lunch and supplies will be provided. Julia Reich of Stone Soup Creative is a branding consultant, graphic designer and graphic recorder. 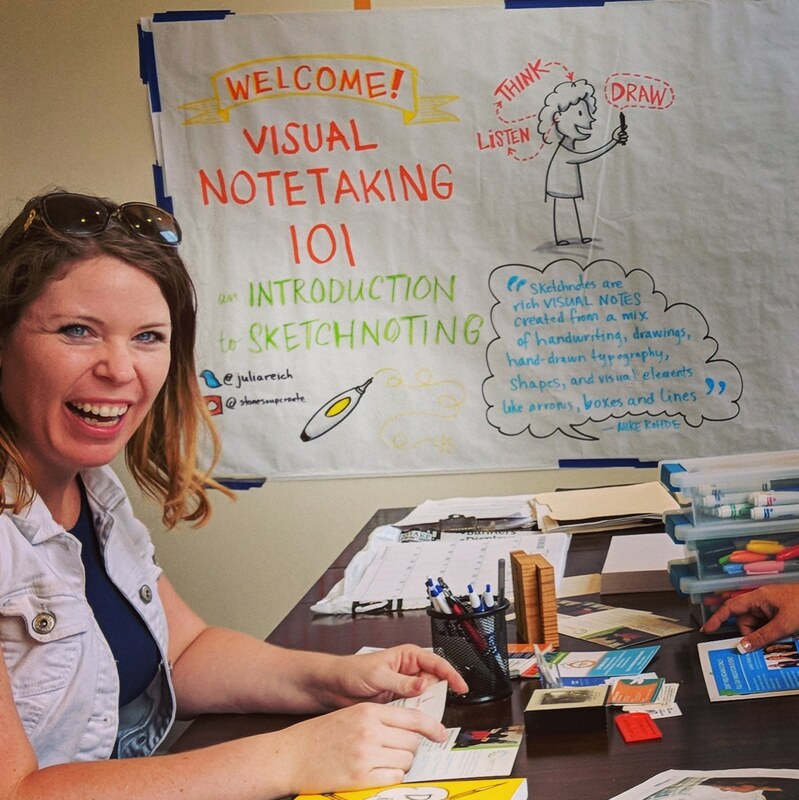 As a graphic recorder, Julia documents discussions, meetings and events with words, images and color—on a large scale, in real time.